After living with Windows 8 for a full 6 months, it's time to take a measured final look at Microsoft's ambitious attempt to merge the desktop & tablet OS. So I’ve been living with Windows 8 for a full 6 months now, on both my main desktop computer and my laptop, and now I think it’s time for a third (and final) look at the pros and cons of Microsoft’s latest Windows incarnation. Trying to delete a file and getting notification of what program has it open: This has been a long time coming. It is so nice to finally know why you can’t delete (or move) a file, so you can just close that program and move on with your day. Multi-monitor taskbar: FINALLY. Something that power-users have been using 3rd party programs to provide for years is now built into the OS. The ability to customize how application buttons appear on the different taskbars (on all monitors, or only on the monitor where the application’s main window is) is also a nice touch. 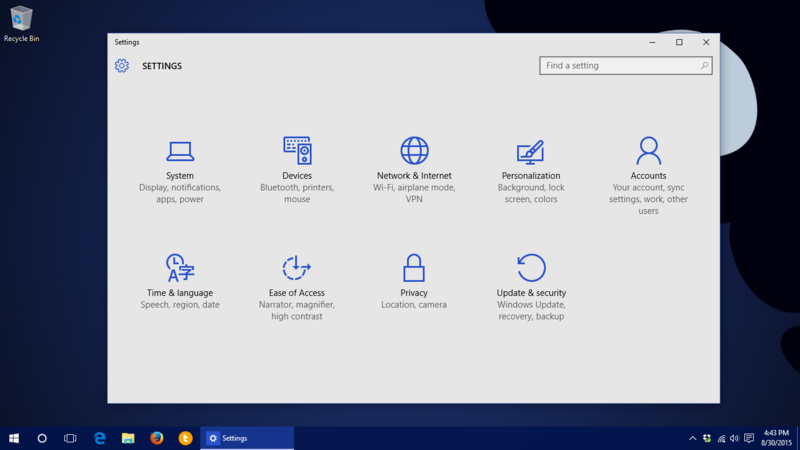 Connected accounts & settings: This isn’t that big of a deal, but with people replacing computers more and more frequently, it’s a real nice touch to log into a new computer and have it automatically bring over your desktop settings, backgrounds, and other customizations. Although it’s not a totally perfect solution, it is very nice to have, and a welcome addition. “Reset” Windows option: I know a lot of people think you need to reinstall Windows every so often as a matter of course, and while I disagree with this concept (I’ve talked about it before), I will admit there are cases where you need to “reset” everything back to factory defaults. Since each PC manufacturer tends to have their own way of doing this, having a way to do it in the OS itself is kind of a nice touch, and will certainly be handy for a lot of people. Ribbon in Explorer: This is a welcome addition in my opinion, although I know some people hate the concept of the ribbon. Still, I think the ribbon is a useful UI tool (when done with care and thought), and in the case of Explorer, it works, and it works well. Improved boot speed: This is always nice to see in any new version of Windows. It is especially noticeable with an SSD, although even computers with ordinary hard drives should see some improvement. It’s not much, but it’s still nice. Lock screen: Again, this may just be a little thing, but for the longest time the Windows lock screen was just a boring “Press CTRL+ALT+DEL to unlock” window. Now though, not only is it a customizable screen (separate from your desktop background), but you can add other information on there, such as your unread email count, the weather, and other info – which can be handy! The Missing Start Button: I think I’ve harped on this before, but it bears repeating – the Start button should not have been removed. I know that “technically” a corner is “easier” to hit with a mouse (or with a finger), but you could have still left the button there for the visual reminder and just to make it that much of a bigger target. Removing it was just plain silly. Hot Corners aren’t that hot: The idea is sound, but the execution is poor – especially if you have multiple monitors, where the corners are hard to hit on the border between screens. Splitting search up between files/apps/settings: This is a change I just don’t quite understand – in the past two Windows versions, searching on the Start menu searched your files AND shortcuts on your Start menu AND some basic system settings. But now in Windows 8, you have to click to choose which are you want to search, and sometimes it’s not easy to know which one to use. Some system settings can be found under “apps,” for example. At the very least there should be an option to search “everything,” which can be set as the default should the user wish. 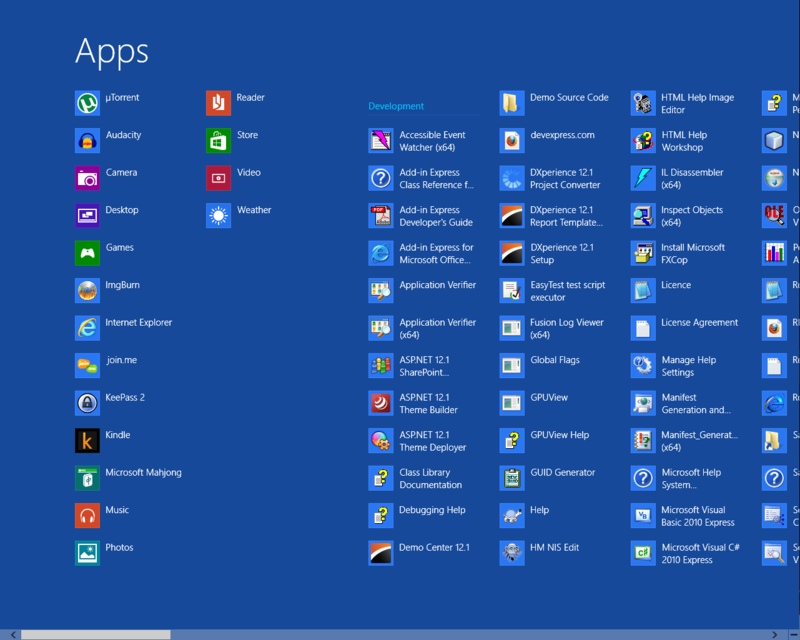 Windows 8 “Modern” (formerly Metro): I understand what Microsoft is trying to do here, I really do – but they need to re-think their UI guidelines for “Modern” apps. There seems to be too much of a focus on avoiding UI entirely and just displaying things as big as possible. This is OK for certain types of applications (e.g., a video playback app), but when your UI across an entire range of apps is “hidden,” it just invites confusion. Too much inconsistency: This is perhaps my BIGGEST gripe with Windows 8 – there is simply a terrible lack of consistency across the OS. It is very much like using two separate operating systems, and it always seems to be a surprise which one you will end up in when you try to do something new. If you noticed that most of the good things I’ve pointed out about Windows 8 are aesthetic or basic performance improvements, you’ve seen right to the point I’m trying to make here. Windows 8 was a very ambitious project – one effectively forced on Microsoft with the rapid increase in popularity of tablet devices (or, one that Microsoft had been planning all along – but who knows). Nevertheless, there are just some things about Windows 8 that should not have been done, or that should have been fixed or changed before it was let out the door. For the power user, it is not at all a “bad” operating system – but then again, power users are the ones most likely to be able to puzzle their way around the problems (or find workarounds or alternatives). Ordinary users, on the other hand, are going to be frustrated. There just is no avoiding it. Windows 8 is going to drive a lot of ordinary people away from Windows – or at the very least, it will leave a very sour taste in their mouth. I can only hope that Windows 9 improves upon the shortcomings of Windows 8, and that the lessons of this version of Windows (don’t mix UI conventions, keep conventions consistent, don’t hide too much of the UI, etc.) are well-learned and heeded by Microsoft and the Windows team. 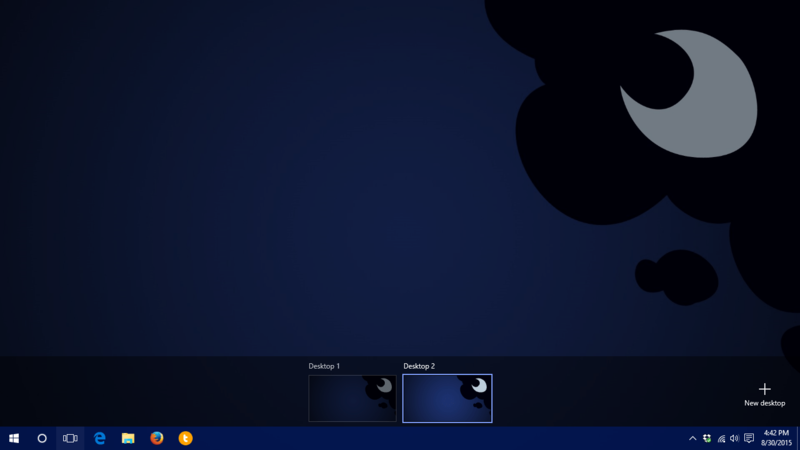 So this is technically my second look at the final release version of Windows 8 – and this time I’ve been using it legitimately, all day long, doing all the things I normally do with my computer, and I now think I have a much better “feel” for things, to the point where I’m ready to share them. Yes, I know it’s technically not called “metro,” but honestly, who cares what it’s called? Just don’t use it. Unless you have a touch screen, avoid using metro apps entirely. There is absolutely no reason for you to use them on a desktop PC (or anything that uses a mouse/trackpad/etc. and not a touch screen). None of the built-in metro apps are very useful, and with so few 3rd party apps, there’s not much else you can do here. And as we’ve already established, metro apps were made for touch screens – if you don’t have a touch screen, using metro apps is going to be frustrating and awkward. In my original review, I thought that the new “hotspots” were limited to only on the primary monitor, but it turns out this is not true – you can use any of the 4 corners of ANY monitor! 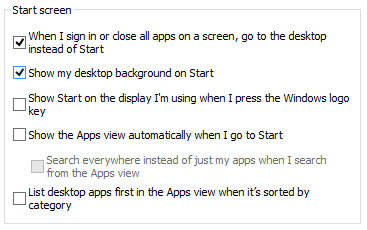 This means that technically you can use the lower-left corner (where the Start button used to be) of any monitor to bring up the Start page. Pretty sweet! Above: The new “charms” bar can be brought up on either monitor by pointing to the upper-right corner of either screen, and the same is true for all the other corners of the screen. Start button, come baaaack! I miss you!! 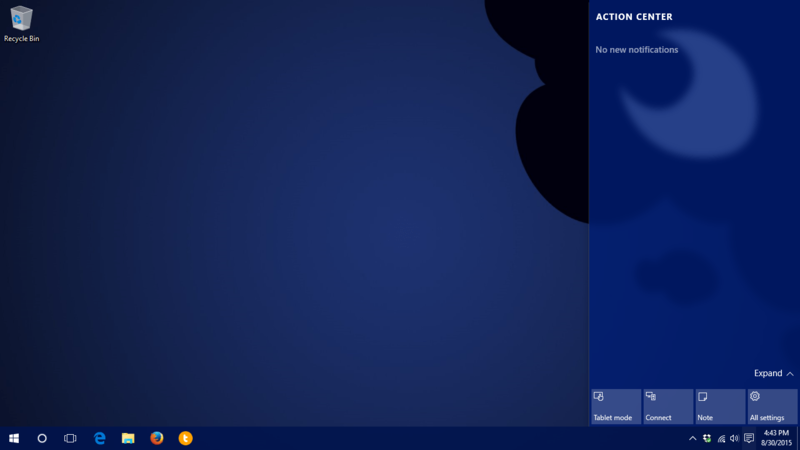 This may be nitpicking, but I really do miss having an actual “button” to click to bring up the Start menu (or Start page, or whatever the correct term is for the new full-screen Start screen). Not having a button there just makes the desktop look “unfinished,” and although technically speaking the corner is a much bigger UI target to hit with the mouse, years and years of training have conditioned me to hit a big button in the lower-left corner, which is now… gone. Well, that’s not quite fair – it’s sort of still there, but it’s hidden, and will only appear once you slam your mouse cursor (or your finger, if you’re using a touch-screen device) into the bottom-left corner of your screen (any screen, if you have more than one). Still, the Start button is not something that should have gone away. I mean, Mac OS still has the little “Apple icon” system menu in the top-left corner, and that’s been there since version 1.0! But I Do Like the Start Page! 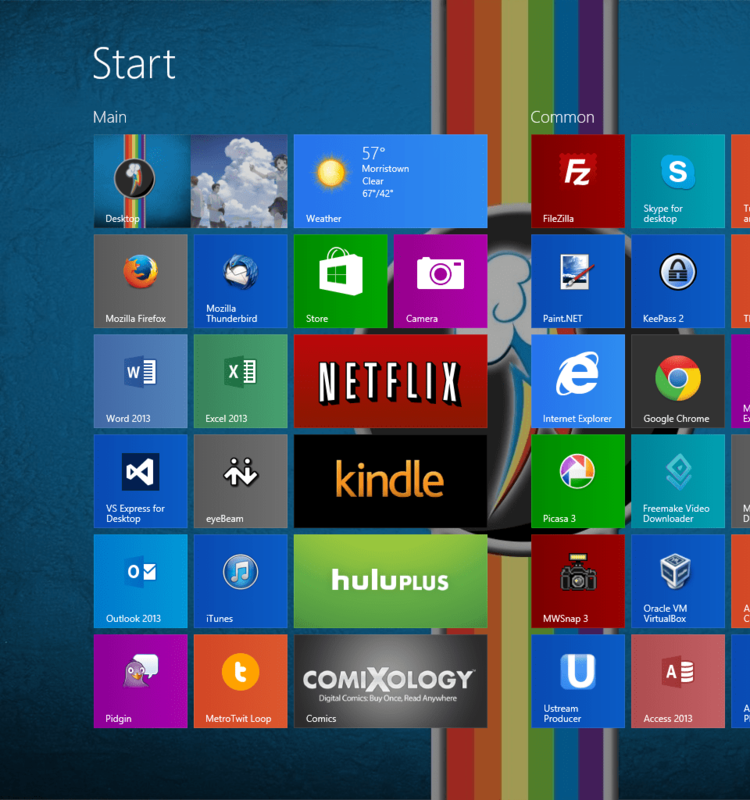 I admit it – I like the new Start page. But one thing should be absolutely clear – I am not your typical user. Most “average” users have about 4 or 5 programs they use frequently. I have… a lot more. Still, the new Start page is basically an over-sized, full-screen version of the old Start menu’s MRU (most recently used) program list. The bigger “tiles” are obviously meant to make it more touch-friendly, but a side effect of all this is that you have a lot more room for shortcuts as well – and I like being able to have all my programs within easy reach. And if that’s not your thing, well you can still search for programs the same way you did before – just start typing when the Start page is on the screen, and it’ll start searching for applications, just like it used to do in the Windows 7 Start menu. It is a mess, to be sure. Everything is laid out in one big grid, and nothing is hidden. In my case, because I upgraded, things are still in folders (hence the sub-headings you see), but I have no idea how you’d create these headings or organize things. On the other hand, I don’t really see a need to worry about it. 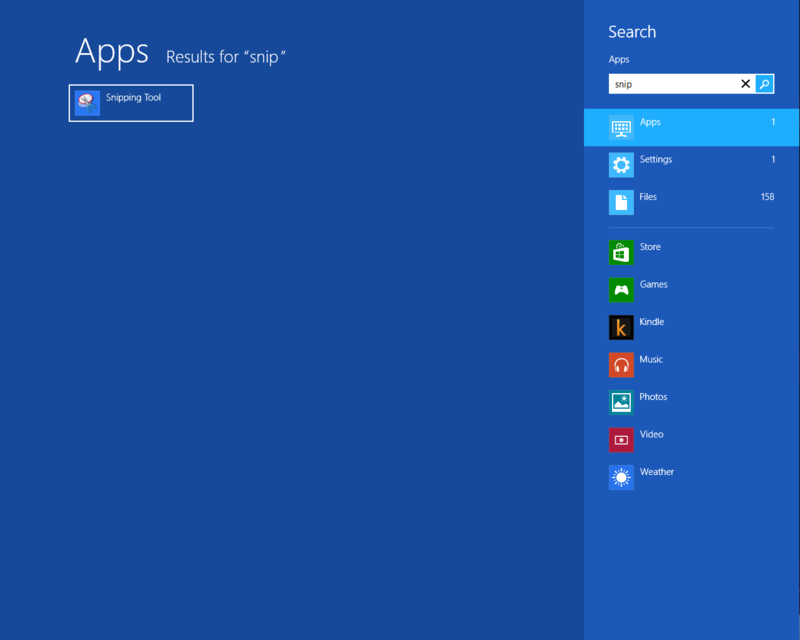 Searching apps is simple and easy, just like it was in Windows 7 (just start typing when the Start screen is displayed), and this is honestly a faster way to find the program you’re after, no matter which OS you’re using. Searching still works just fine – it’s quick, it’s easy, and for once, it kind of works for both touch and mouse interfaces! I see a lot of vitriol out there for Windows 8, when really what people don’t like is the new metro-style apps and interface. This is fine, and in case you can’t guess, I don’t exactly like the metro-style interface either. It really makes the OS feel like it’s got a split personality, and more than a few people have suggested that it might have been better to split off into 2 separate OSes, instead of trying to awkwardly combine them. But consider the alternative – what if Microsoft had done exactly that? What if they had made an OS (the Metro OS) for tablets, and one for desktop PCs? Keep in mind that the benefit of an OS is not the OS itself, but the programs and applications that the OS lets you run. So to begin with, a new Metro OS would have been worth… nothing. Because there would have been NO apps for it. If Microsoft had done this, the Metro OS would have been a complete failure. Microsoft had to include compatibility with existing Windows apps in the new Metro OS, and if they were going that far, why not just merge the two OSes together, instead of re-inventing the wheel and wasting a lot of effort maintaining them? Oh, sure, you can argue that this is exactly what Apple did with OS X and iOS – but keep in mind that iOS was in a unique position when it started out, since it had the first-mover advantage. There was no other big smartphone OS to compete with it (well, not really), and also Apple included some really great starter apps to make up for the fact that no other 3rd party apps existed. On top of that, iOS got its start on phones, which are useful even without apps (you can still use them as a phone, after all) and they also had the famously popular iPod music player capabilities built-in. 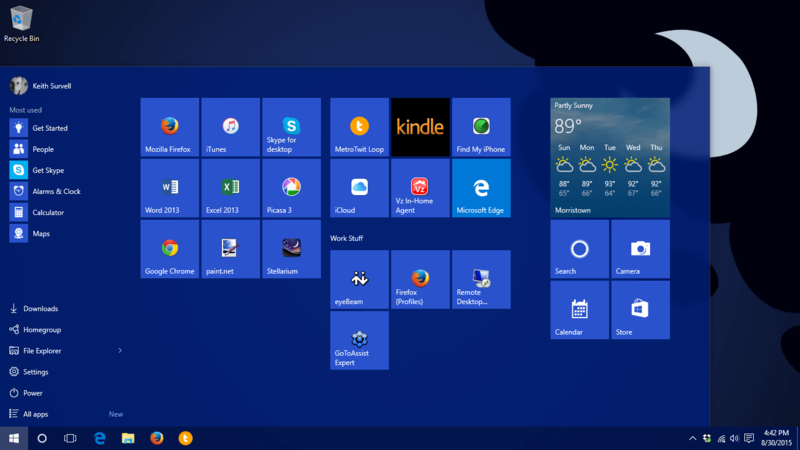 Our hypothetical Microsoft Metro OS would have none of these advantages – it would start on tablets instead of phones, and tablets are nothing but very expensive paperweights without lots and lots of useful applications. This is why it had to be merged with the regular Windows desktop OS, and it kind of explains why we ended up with the OS we ended up with in Windows 8. Sure, Microsoft could have shipped a “desktop only” version of Windows 8 without metro… but if they did, people would instead just be demanding to have some new “Pro” or “Ultimate” version of Windows that had both, and we’d be right back where we started. 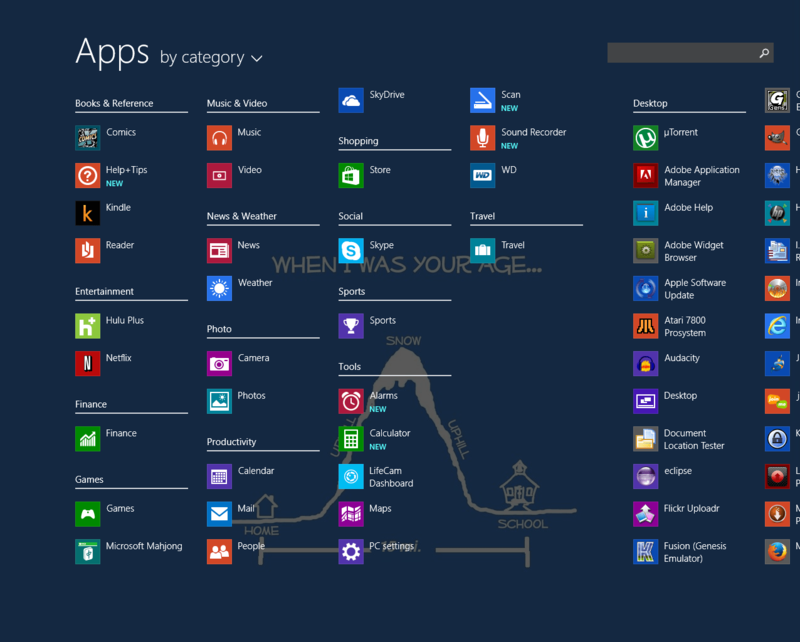 The bottom line is, the whole metro apps thing in Windows 8 is a bit of a gimmick – at least as far as I’m concerned. I have no idea if Microsoft’s marketing might can make this last into the next version of Windows (or even past the next service pack), or whether it will quietly fade away and die, much like its spiritual predecessor the Zune did (remember the Zune?). But the good news is, you don’t have to use metro apps. In fact, beyond the big Start page, you never need to see any “metro-ish” stuff in your day-to-day use. You can use the same programs you’ve been using all along in Windows 7, and aside from some slight UI tweaks, you’d almost never even notice the difference 99% of the time. So my verdict on Windows 8 remains much the same as before (although for slightly different reasons) – it is a perfectly OK, average, and uninspiring update to a popular operating system. While I wouldn’t exactly rush to upgrade, I wouldn’t go out of my way to avoid it, either. 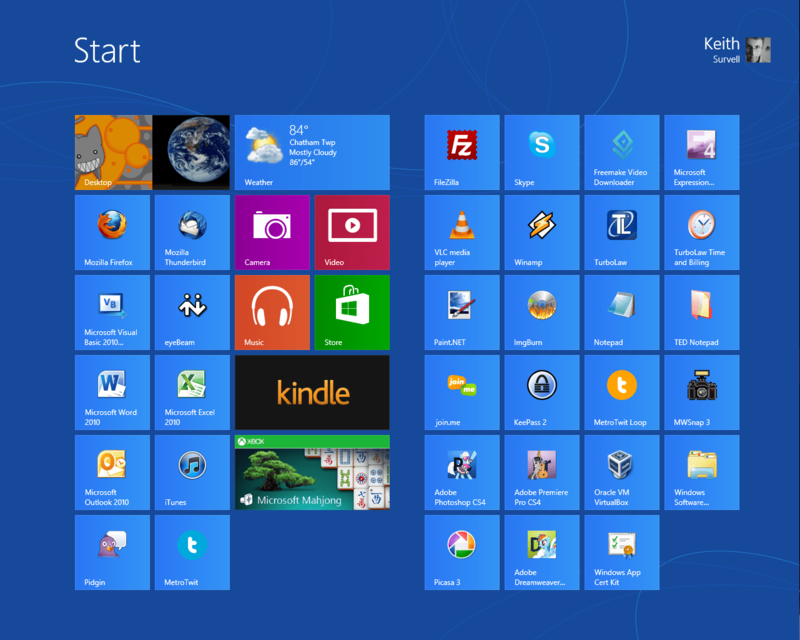 Update: After using it for even longer (6 months now), I’ve posted my (final) thoughts on Windows 8. 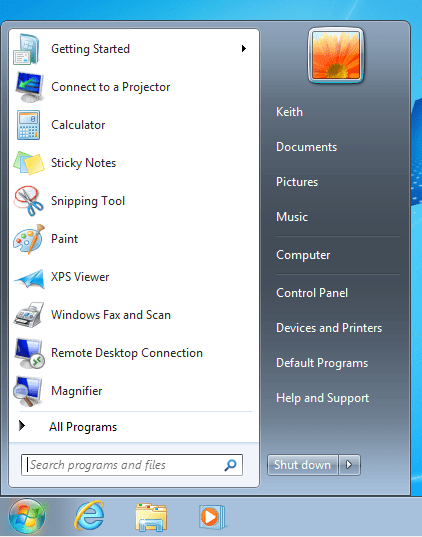 Keith's review of Windows 7 after living with it for almost a month. So, I’ve been living with my new computer for almost a month now, and that’s given me plenty of time to become familiar with the changes that came with Windows 7. Previously, I’d only played around with Windows 7 through the betas and release candidates in a virtual machine – which, by its very nature, lacked the power to really let Windows 7 shine. My new computer, on the other hand, has enough “oomph” to let me turn on all the bells & whistles so I can see how they work and which ones I like. 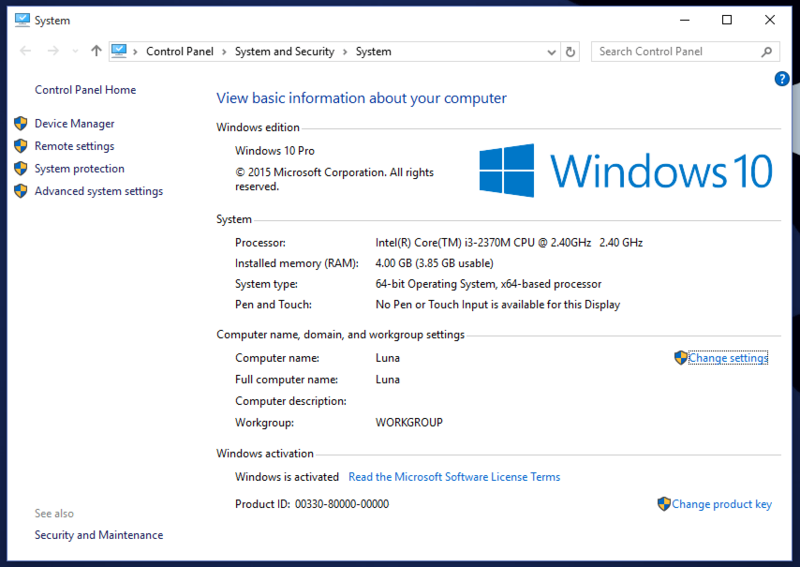 This has allowed me to really get a “feel” for Windows 7 – arguably in an even better way than I did with Vista on my old computer. So far, I have to say that I am very pleased. If you’ve read any other Windows 7 reviews, you’ve probably read a lot of praise on how Windows 7 is a great leap forward, it’s so nice, etc. Well, those people weren’t lying. Windows 7 is incredibly polished. I’m sort of a details person, so these little details, the “fit & finish” of Windows 7 really impress me. Multitasking: you need a true multi-core CPU to get the benefits of this, but Windows 7 does a superb job of running lots and lots of programs all at once without any sort of trouble between them. And if one program goes down, you can just kill it and keep on truckin’ – no reboot required. Stability: Windows 7 has so far been incredibly stable for me – and I tend to push my computers hard, so I’m one to know. Of course, part of this is due to the fact that I’m running the 64-bit version, and the 64-bit versions of Windows don’t allow “unsigned” drivers. And since device drivers are often the biggest contributor to instability in Windows, the fact that only “signed” drivers are allowed means that (overall) the quality of drivers is much higher – which means, in turn, that Windows is more stable. UAC: My biggest gripe in Windows Vista was the UAC prompts that would pop up in various places – most annoying to me, personally, was when I tried to drag & drop to re-arrange folders in my start menu (I like to have my start menu nice & neat). If the folder or icon I was dragging & dropping was in the “All users” branch of the start menu, I’d get a UAC prompt when moving it. It was just incredibly annoying. In Windows 7 these prompts come up less often, which makes me very happy! New Task bar: This is one place where I found myself unhappy with the default Windows 7 behavior, which is to show programs in the task bar by icon only (even when the program is open). I like being able to read the title of a window at a glance, without having to mouse over it, so I turned that functionality off. Plus, having the task bar buttons be full-sized with titles helps visually distinguish (even more) between running programs and programs that are just “pinned” to the task bar. Glass Effects: speaking of the task bar, if you hover your mouse over open programs, you’ll see that the sort of glowing colored highlight follows your mouse pointer – as if your mouse pointer were a light shining on the button. On top of that, the color of the highlight is based on the color of the program’s icon… Niiiiiice. It’s little details like this that really impress me. Aero Peek: Though I think the name is a bit pretentious, it is a handy feature. 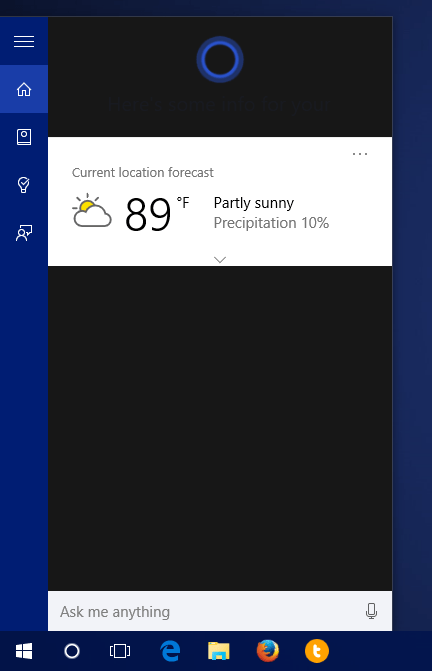 Basically the evolution of the “show desktop” button in that you can just hover over it, and it will make all open Windows 100% transparent so you can see your desktop (any windows that are not full-screen will show a faint outline so you know where they are). Other than that, the button acts just like the old “show desktop” button – click it once to show the desktop, click it again to restore all windows. Simple and easy, but it’s nice to have it permanently attached to the task bar, so you don’t lose it. Libraries: I’m not exaggerating here – I love libraries. I’d been wishing for some sort of functionality like this for years, without even realizing it – or even being able to describe what I wanted. But libraries deliver. Got a folder with some pictures in it, in some strange location on your computer? Just add it to your “Pictures” library and now it’ll show up as if you had copied it into your “My Pictures” folder – but without actually having to copy it there! And since things like Windows Media Center and so on use libraries (rather than specific folders), it makes managing a music & movie collection so much easier! Windows Media Center: The new UI for Windows Media Center is nice, but I didn’t really mind the UI in Vista either, so this doesn’t really impress me that much. It’s nicer, sure, but not enough for me to sing its praises. Windows Media Center Extender Support: OK, so maybe I will sing the praises of the new Media Center UI – at least, as it applies to Windows Media Center Extenders. Because the new UI applies to these little, under-appreciated, under-powered devices. My Media Center Extender (MCE) hasn’t gotten any faster, but it looks nicer and it works more smoothly than it did when it was connected to a Vista computer. So there’s a bonus there. Media Sharing & “Play To”: In addition to having a Media Center Extender, my new TV also supports the Digital Living Network Alliance (DLNA) standard, which means it can connect to my computer and stream media (pictures, videos, music) from my computer. Under Vista, the only way to get this media was to browse for it from the TV – and the UI was a bit clunky and sometimes crashed! With Windows 7 however, the game has changed. Although the UI for browsing media directly from the TV is still clunky and slow, it is much more stable. And if that’s not your cup of tea, you can play media directly from the PC to the TV by right-clicking a file and choosing “Play To” and then selecting the TV (Windows detects any DLNA devices on the network automatically – though they do have to be turned on first!). There is just something deeply, geekily cool about selecting a video on your computer and then hearing it start to play in the other room! Videos link on the Start Menu: It’s a little thing, but it was always very annoying to me that in Vista there was no “Videos” link option on the Start Menu. You had links to Documents, Pictures, and Music – but no Videos! Thankfully, this little oversight has been corrected in Windows 7. Again, it’s the little things that really add up and make Windows 7 such a pleasure to use. Drag and Drop re-arrange of Task bar buttons: I’m not talking about pinned items, but actual task bar buttons for open programs – you can now drag & drop to re-arrange them as you see fit. Previously, you needed a 3rd party program to enable this feature. 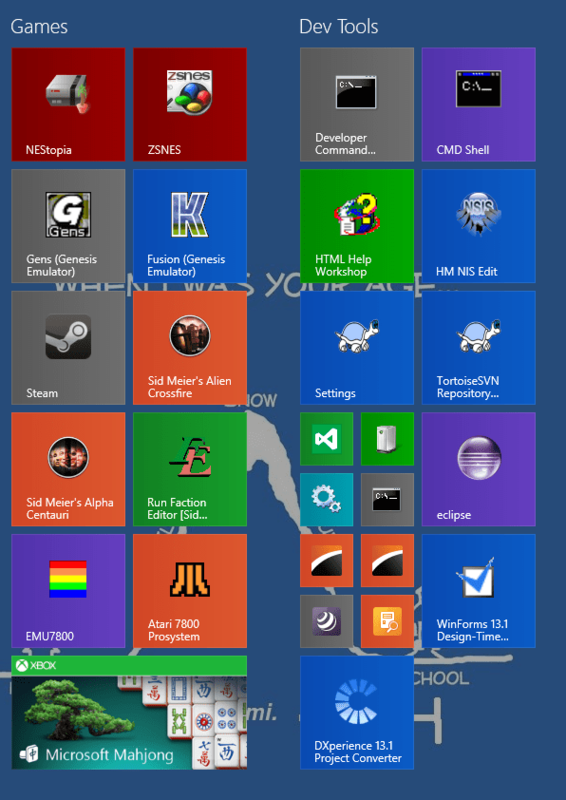 It’s not a big deal, but it’s nice if you’ve got a lot of windows open and you want them arranged in a certain order. Volume control for multiple audio devices: Although Windows Vista handled volume control pretty well (you could adjust volume on a per-program basis), Windows 7 takes this even further. Now, most people will only ever have 1 audio device – their main sound card – in their computer, but increasingly you find people with secondary sound cards – maybe a USB headset, like I have (for Skype, etc.). When you click the “Volume” icon in the taskbar, it shows the “main” volume control, same as always. But, if you are using a secondary audio device (like, say, you have Skype open and are using your headset), when you click the “Volume” icon you get two volume sliders – one for the main volume, and one for the secondary device. Nice! You can control the volume for each individually – very handy! So those are the big new things I’m very happy about with Windows 7. Suffice it to say, if you have the opportunity, I highly recommend you upgrade. Believe me – it is well worth it!